THIS PLAY EDUMLOPES1 IS BUGGING MEMBERS OF THE GAME, JA MADE SEVERAL CLAIMS IN THE FORUM ATE NOW NOTHING HAS BEEN SOLVED, JA INCREASED HONOR OF HIM SOMEWAY HE GETS NEGATIVE LA AGAIN, I SUGGEST TO FORUM MEMBERS TO EXPLAIN EMAIL OF THE SAME POIS THIS HARD TO PLAY WITH THAT FACE, ALWAYS HAS A COMPLAINT AGAINST HIM AND ATE NOW NOTHING HAS BEEN MADE. THANK YOU ! 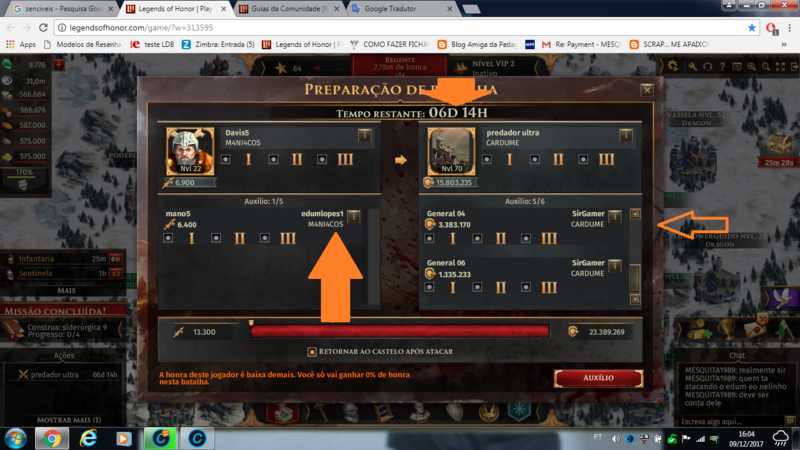 ESSE JOGAR EDUMLOPES1 ESTA BUGANDO MEMBROS DO JOGO,JA FIZ VARIAS RECLAMAÇÕES NO FORUM ATE AGORA NADA FOI RESOLVIDO,JA AUMENTARAM A HONRA DELE DE ALGUMA FORMA ELE CONSEGUE NEGATIVA LA NOVAMENTE,EU SUGIRO AOS MEMBROS DA EQUIPE DO FORUM A EXLUIR O EMAIL DO MESMO POÍS ESTA DIFICIL JOGAR COM ESSE CARA ,SEMPRE TEM RECLAMÇÃO CONTRA ELE E ATE AGORA NADA FOI FEITO.OBRIGADO! !